If you are going to be in Los Angeles this summer, a stop by the beach is practically a must. The only problem is that there are so many different beaches in the area so you might not know where to go. Lucky for you, here is a compilation of some of the best beaches around Los Angeles to visit this summer. Something that makes Hermosa Beach such a great option is that it is far enough from the crowded beaches that are closer to Los Angeles so that you can claim some space of your own on the sand. If you are looking just to lay back and enjoy the sunny LA weather and dip into the ocean to cool down, then Hermosa Beach is just the place for you. The waves are also great for surfing and swimming. If you want to get active, stop by the paved boardwalk where you can ride a bike, rollerblade, jog or stroll across while enjoying the view of the ocean. If you want more of the tourist feel, stop by the world famous Santa Monica Beach. While this beach might get a little packed during the summer, it’s well worth it. If you don’t want to go on the sand, you can stay on the pier all day! From people watching to bars and restaurants, there are all kinds of activities to enjoy, including Pier Park, which has also recently been named one of “California’s Best Amusement Parks” by Yahoo Travel. Pier Park is a whole amusement park filled with fun thrill rides and carnival rides located right next to the beach. What’s not to love? Venice Beach is an excellent place if you want to do some people watching. Walk the boardwalk that is the traditional location of muscle beach. Here, you’ll find an artsy crew with vendors all up and down the boardwalk selling arts and crafts, jewelry and more. This is also a great place to find souvenirs for cheap! 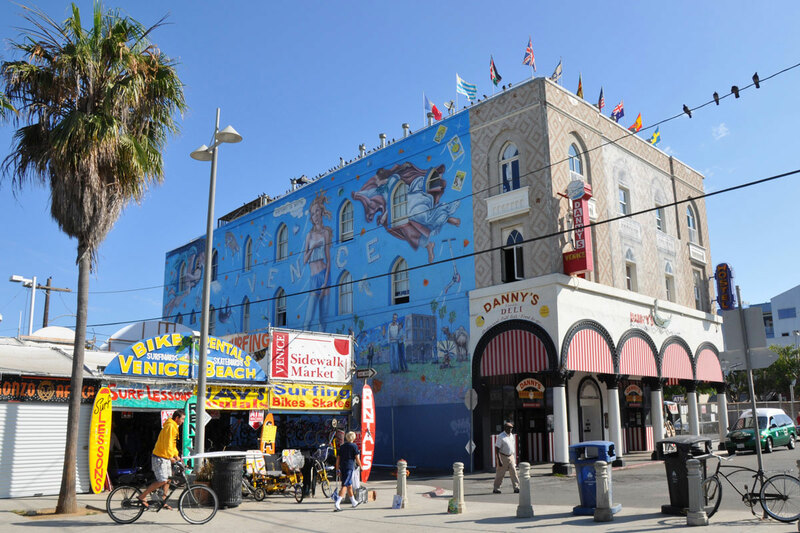 If you want to lie out on the sand, Venice Beach is not the best option as it is mostly known for its boardwalk. What is your favorite beach in Los Angeles?